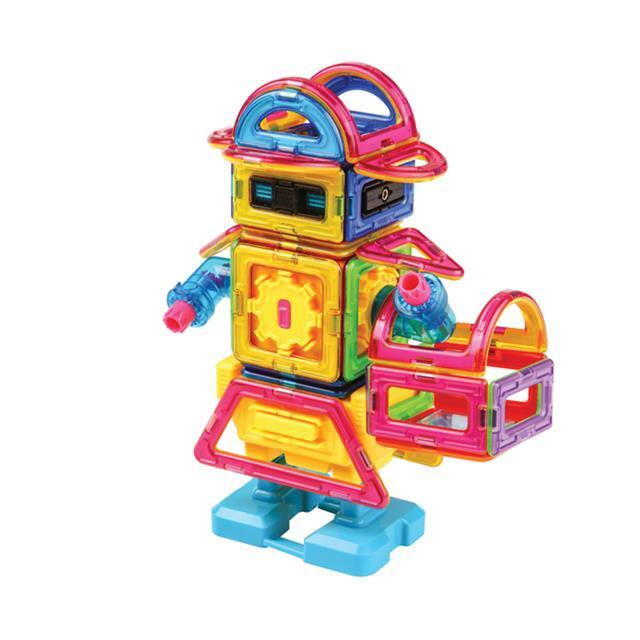 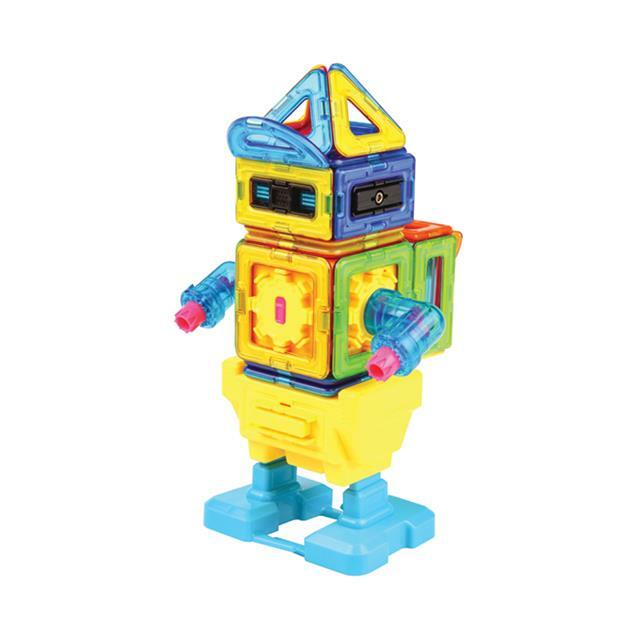 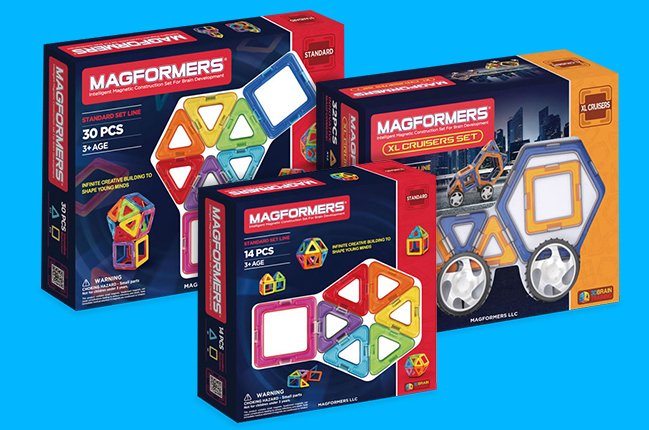 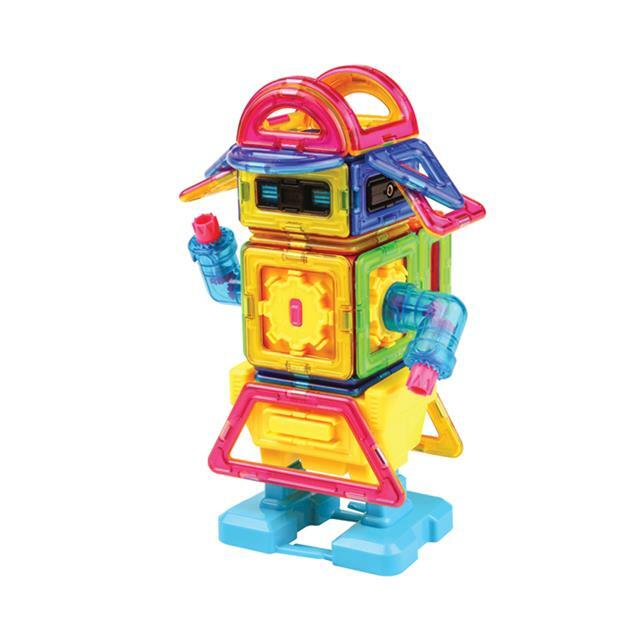 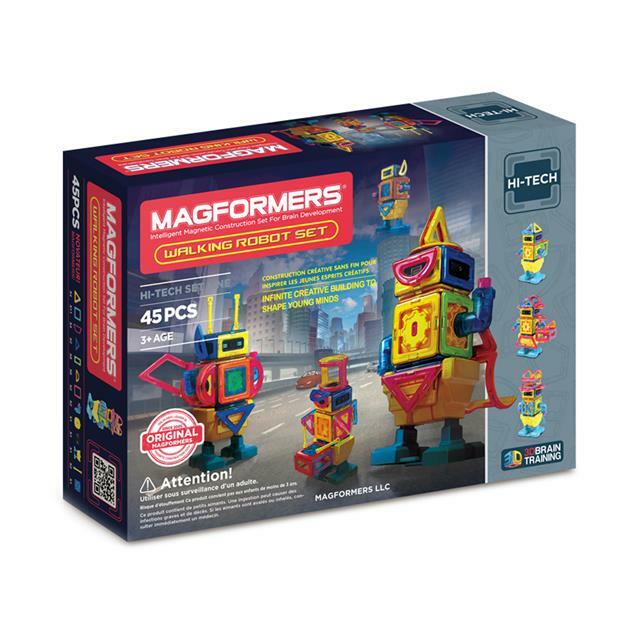 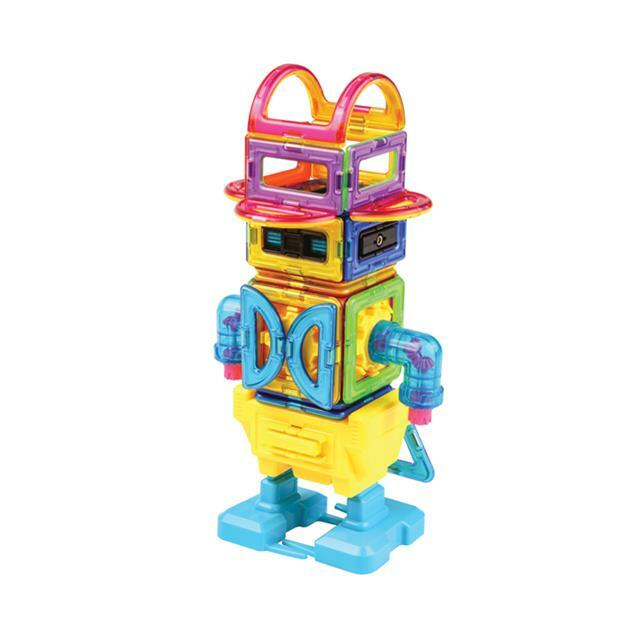 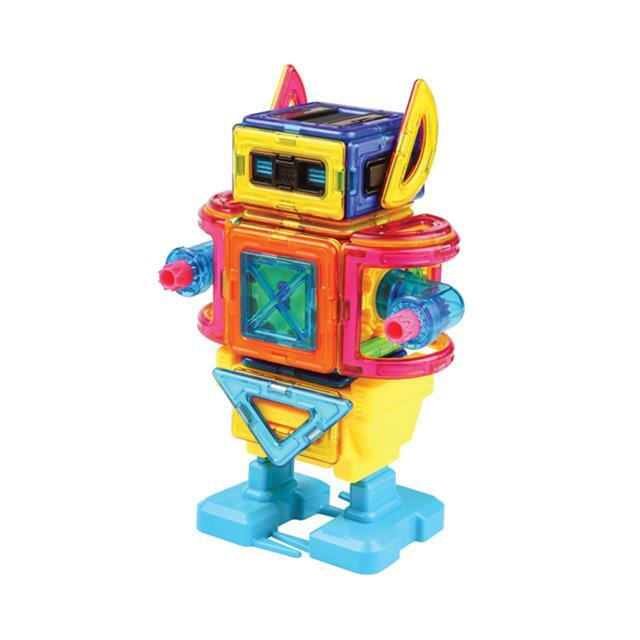 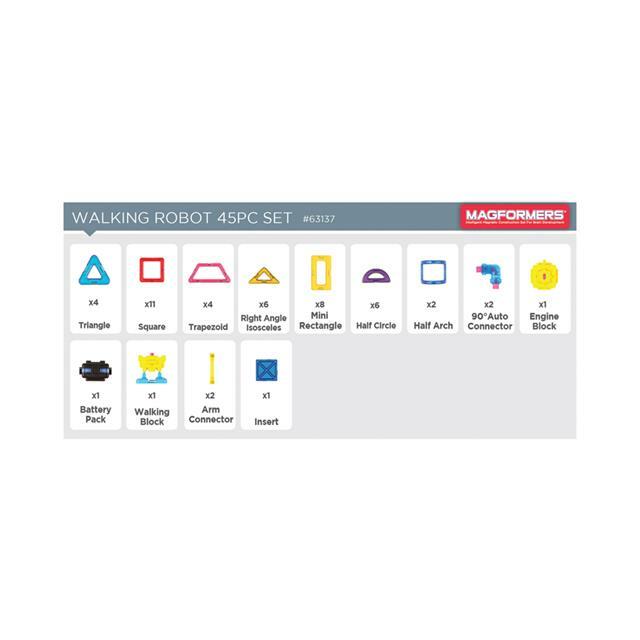 Mix and match magnetic components to create an impressive 11" tall, multispeed robot with this amazing 45 piece Magformers set! 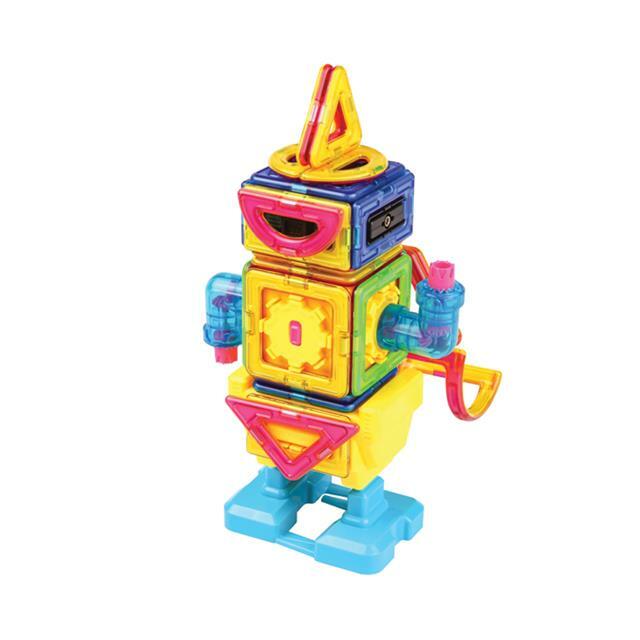 The magnetic pieces can be attached to the robot body, and rearranged to make different characters. 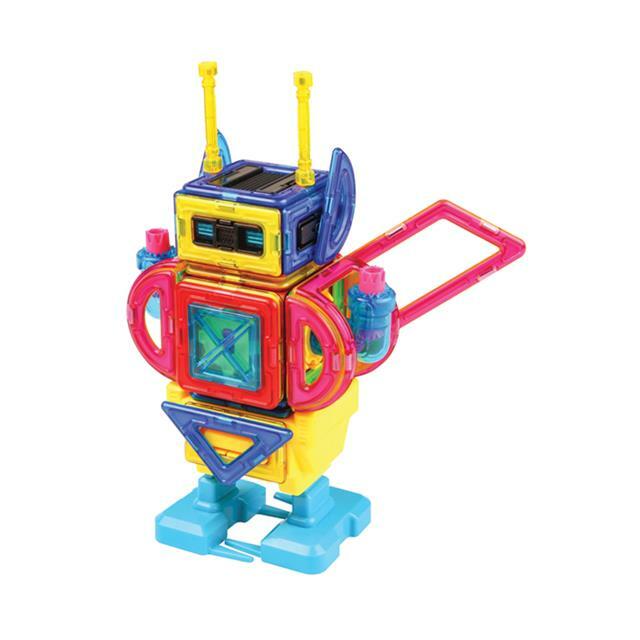 Once your creation is finished, turn on the robot to see it walk! 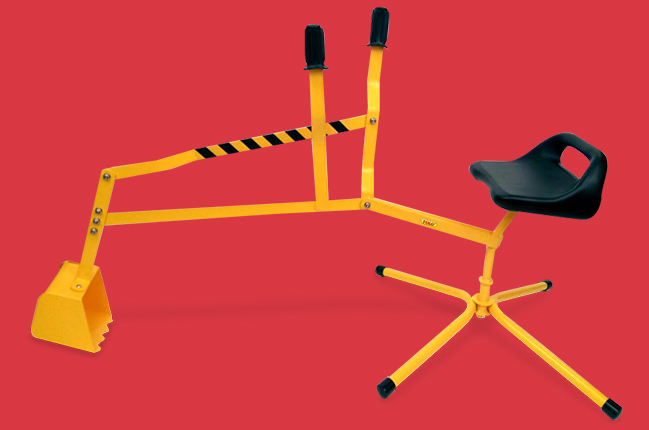 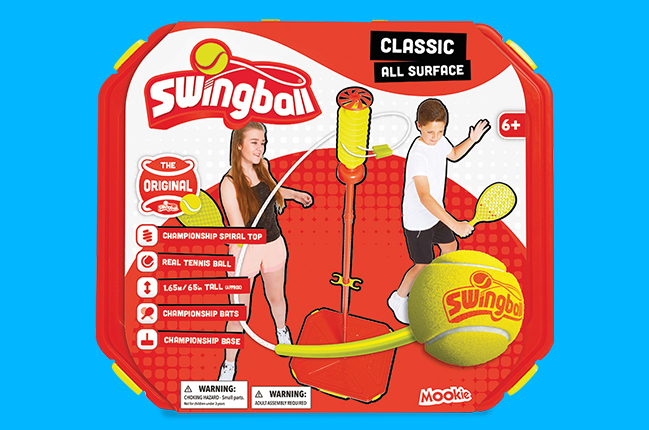 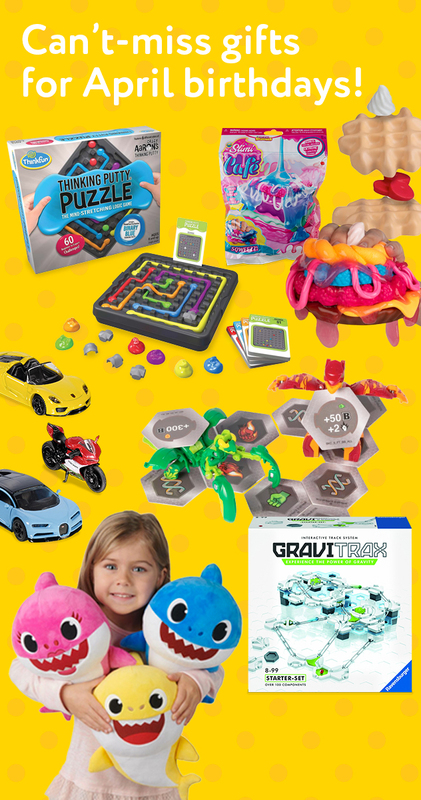 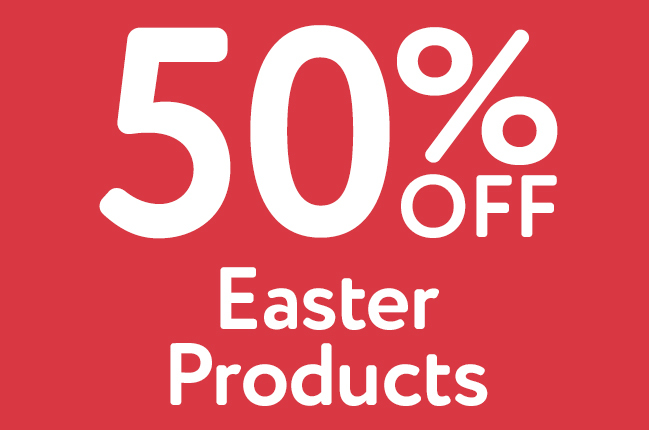 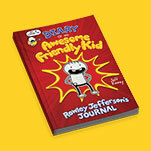 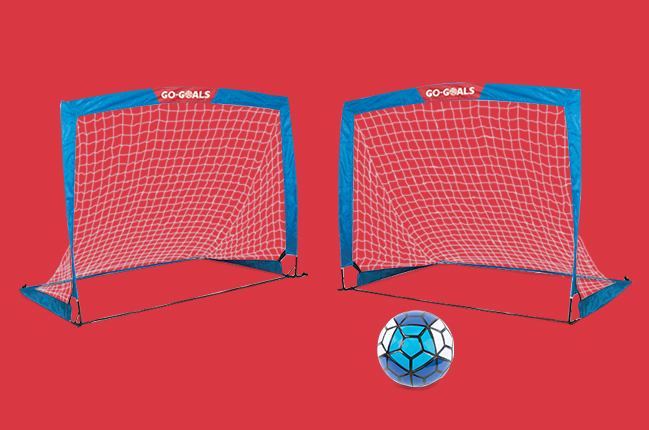 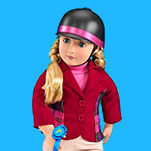 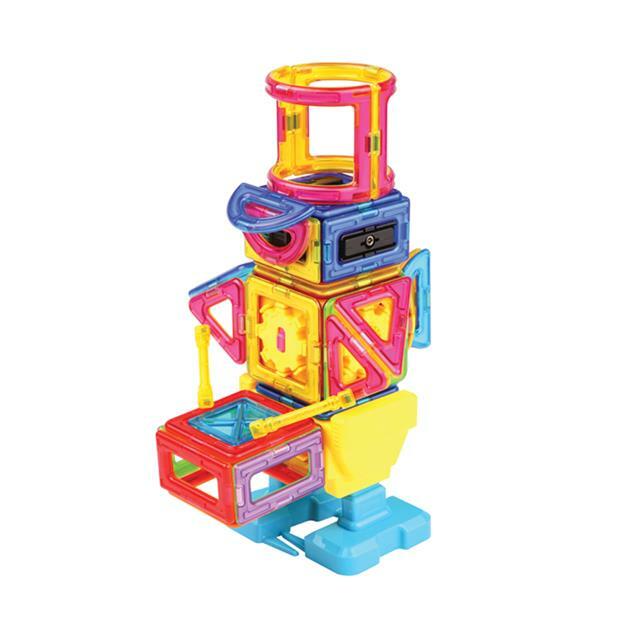 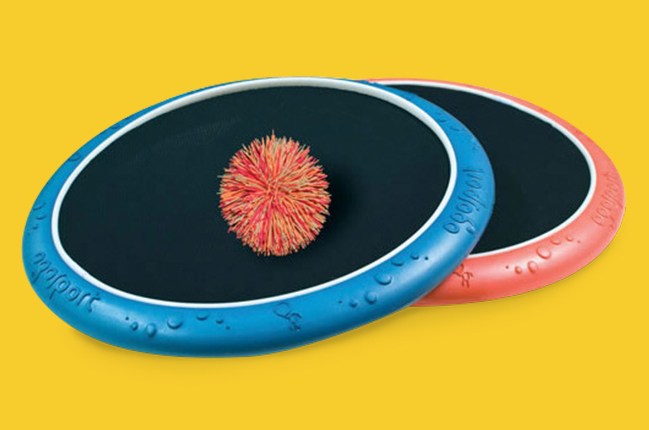 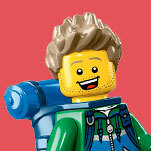 It's an intelligent magnetic construction set made to foster brain development.